We are so happy to share a guest blog post from Trulia about the latest home design trends for Austin. Austin, Texas is a fast-growing, hip town known for its music festivals, spectacular golf courses and beautiful, safe neighborhoods. Always adapting to changing times, the capital of Texas is ranked third on Trulia’s blog post, “8 Cities Where it Pays to be Green.” With the current societal emphasis on reducing carbon footprints, home design trends will continue to focus on this issue. In fact, only three months into 2016, new sustainable trends are already gaining traction with home owners across the country. If you’re a home owner and thinking about updating your home, consider these ideas to re-purpose, reinvent and reuse materials to make your home look stylish or to increase your chances of selling. According to Zillow, in their article, “Top Design Trends for 2016,” one-of-a-kind or handmade artisan pieces will be a major component of home design this year. Expect to see an influx of artisan-like products in big box stores to accommodate the increase in demand. If you want to support local businesses or artists, look for artisan accent products in flea markets, tradeshows, or craft fairs. Items like woven basketry, tassels and macramé textiles will be the perfect accents for a chic look in 2016. If you’re thinking about remodeling your home in Allandale, flooring materials such as bamboo and even salvaged wood flooring are environmentally friendly and impressively update the look of your home. Bamboo is available in a vast supply, extremely durable, and will add a touch of class to any home. If you’re considering a tile floor, look for recycled and raw materials. 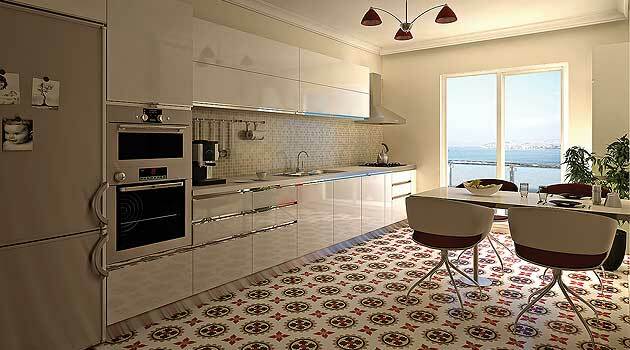 Encaustic tiles, which have intricate patterns and get their coloring from types of clay or minerals rather than glaze, will be another style gaining traction this year. According to Zillow, encaustic tiles can be used to create a beautiful, natural-looking focal point in kitchen backsplashes, bathroom showers, accent walls and even fireplace mantles. Looking to update your kitchen? Cabinets made from bamboo and repurposed wood not only look great, but they’re long-lasting and easy on the budget. Creating light fixtures by using repurposed materials and energy-efficient bulbs is another easy way to be mindful of your carbon footprint. Art deco will make a comeback this year with a traditional look popularized in the 1920s. The style’s classic geometric patterns and honeycomb shapes add depth to any room, and will surely find their way into many Austin neighborhoods this year. Finding old art deco artwork, wallpaper in local stores or even your grandmother’s attic are great ways to add affordable elegance to your home. Experts also predict that metal accent pieces, also reminiscent of art deco style, will be popular this year. These old-fashioned pieces add an industrial, yet posh feeling to your home. For carpets and furniture accents, nubby wool rugs or other natural fibers will be the go-to texture for 2016, especially in carpets and area rugs. The subtle hues of natural fibers create the perfect vibe while softening bolder colors or dramatic statement pieces. 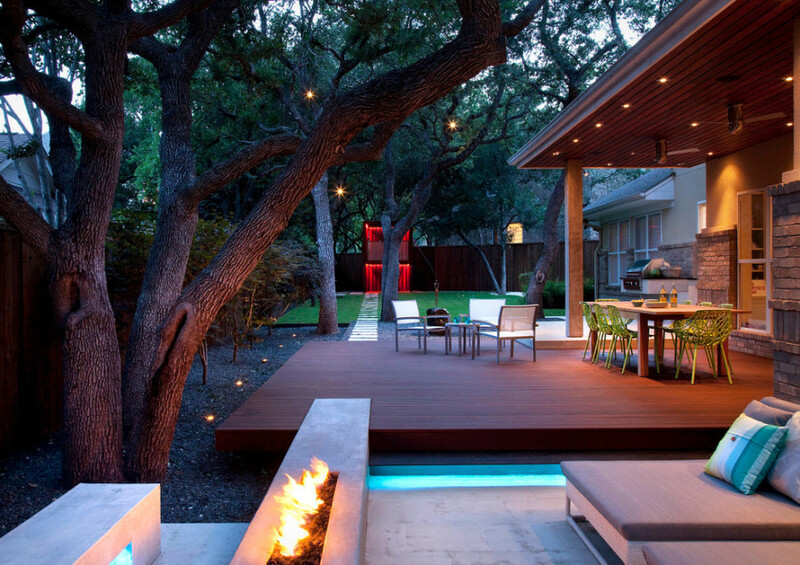 Spring is a great time to turn your neglected deck in Sierra Oaks into an outdoor comfort zone for living and cooking. Many decking companies offer wood alternatives for decks made from recycled materials and an earth-friendly manufacturing process. Fully-functional outdoor kitchens are still popular, and other indoor comforts like all-weather furnishings, benches with upholstered cushions will be making their way to the outdoors. Decks built with wood alternatives are becoming a popular choice. If you are planning to update or renovate your home, beware of design trends on the decline. Some exhausted trends from 2015 that you might want to drop, include items like Mason Jars, chalkboard paint, and burlap details. These are overdone decorating features on their way out in 2016. Luckily it’s an easy transition to new trends this year. Be sure to find sustainable materials for your remodel, and hit the local spots to find artisan pieces to get your home up to date this year.